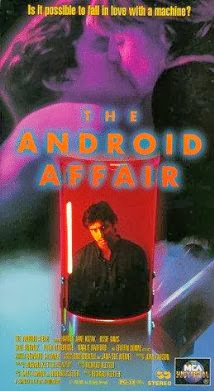 A female surgical intern is assigned the task of operating on an advanced android's defective heart, only to have the android insist on being taken out to the real world. On the outside, the doctor and her patient fall in love and uncover a sinister plot by the institute's director. Based on a story by Isaac Asimov and Richard Kletter. Sadly, I was unable to locate a trailer to share. The main way to purchase this title is through a boxed set of DVD SF titles: ANDROIDS, ALIENS, & THE FOUNTAIN OF YOUTH. I may yet purchase it just so I can see this movie!